We deliver to breweries across Colorado at harvest time in late August/early September. 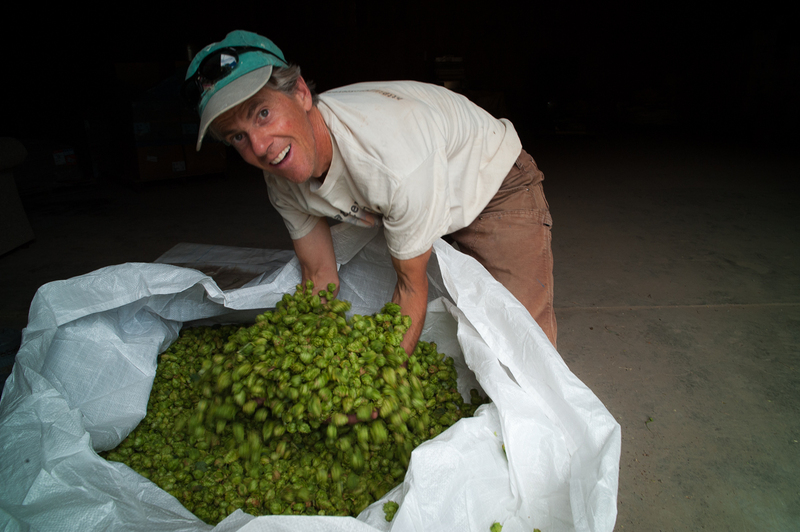 We’re passionate about providing brewers with high quality, incredibly fresh/wet hops. Our cones will go from the field to brewing kettles within 18-24 hours! To accomplish this, we harvest during the evening hours when temperatures are cooler. Once our Wolf picking machine has stripped the cones from the bines, the cones go directly to our cooler for the night. We then set out at dawn the following morning and drive directly to the Front Range to a predetermined brewery where brewers will gather to pick up their orders. Now, that’s fresh. In addition, we enable brewers to coordinate their brewing schedules by setting delivery dates and times at least one week prior to delivery. Our hops are in high demand. Please order early!!! This will ensure you will have the varieties and quantities you want at harvest time.